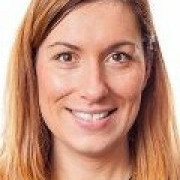 Francesca is currently the Head of Nursing at the Centre for Reproductive and Genetic Health which is a large unit that provides a wide range of specialist fertility treatments and services. She has a special interest in gamete donation and surrogacy, and also training and development for nurses and HCA's within the fertility setting. She has worked in various busy London units in both the NHS and private sectors and has had the opportunity to learn and develop a wide range of skills, including performing surgical sperm retrievals under consultant supervision, and assisting with the management of the fertility needs of patients diagnosed with a blood borne virus. Francesca is an active member of the Senior Infertility Nurses Group (SING), a steering committee member of the Royal College of Nursing (RCN) fertility nurses forum, a steering committee member for the annual INSIGHTS fertility nurses conference and has also been part of a project group headed up by the Department Of Health to produce surrogacy best practice guidance for healthcare professionals working outside of the reproductive medicine setting.